With over 30 years experience in mechanical, radiators, air conditioners, autogas conversions and much much more. Eastside Automotive take great pride in offering their clients personalised, and friendly service at all times. Conveniently located in Somerton Park , the business is a member of the Repco Auto Tech training program, ensuring their technicians are kept fully up to date with modern vehicle repair methods. 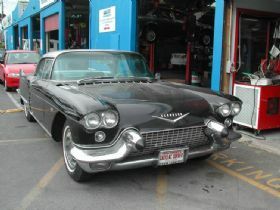 Eastside Automotive have a wealth of experience in servicing all makes and models, including commercial fleet vehicles. As a Repco Authorised Service centre, they have a commitment to high quality workmanship, ensuring the very best in automotive care. 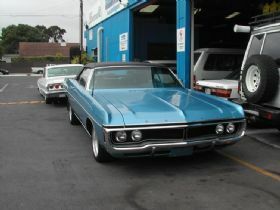 Eastside Automotive is your one stop shop for getting your car up to its peak performance, economy and reliability. 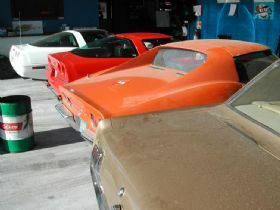 Complete Restoration Service: Specialist in full or partial restorations or resto-mods of classic cars no matter how old or new. Wheels & Tyres: From low-profile current model tyres to white-walls for a classic look and wheels to complete the picture. Service & Tuning Centre: Regular log book servicing or tailored servicing for your unusual or special vehicle. Eastside Ezi-Pay: Available on our complete range of service. No interest ever. Approved customers only. Hot Rod Body Shop: Our professional body shop caters for the fussiest of customers who expect a better than factory finish. Autogas Installation, Servicing & Tank Testing: Adelaide's #1 Autgoas Installer. Custom and difficult installations a specialty. Tank testing available. 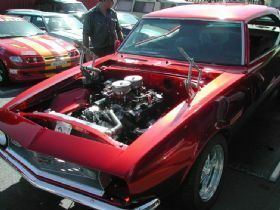 American Imports, Compliance & Registration: Fancy some US muscle? We can help source, import and register your dream car. Dyno Tuning & Testing: Maximise your vehicles economy and power with our digital chasis dynamometer. Radiators: Our award winning radiator section is a proud member of the Natrad franchise group. Fleet Servicing: Open every Saturday for fleet and courier companies. Trust your business to our business. 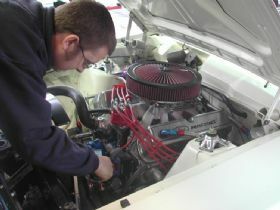 Air Conditioning Installation & Servicing: From your daily driver to your hot rod, we can fit and service your air conditioning system. Our workshop has thirteen bays and five hoists and we utilise a vast array of modern and old school equipment to service, restore and enhance our clients cars. 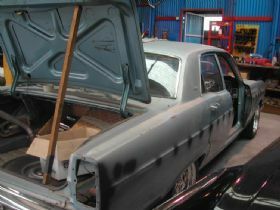 Eastside Automotive does everything in house including panel and paint. Our services include all aspects of general servicing, ground up or partial restorations, a large performance division, gas conversions, radiators and exhaust, car location and import service, spare parts, wheel and tyre fitment, engineer certification and compliancing, detailing, drive train upgrades and rebuilds together with dyno diagnosis. 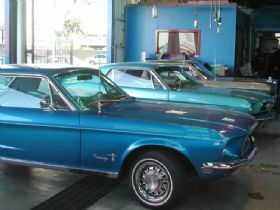 The Eastside Automotive mechanical servicing division provides general services for any modern or classic vehicle, from a log book servicing to a regular tune up on your classic can, all can be performed in-house. We specialise in fuel injection setups and cleaning and have the necessary diagnostic tools to support this function. 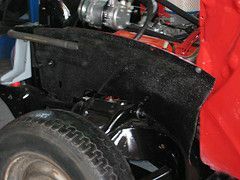 Our restoration division provides partial or ground up restorations with rust repair, panel work, fabrication, drive train and electrical all carried out in-house to ensure the quality expectations of customers is met. Eastside Automotive has all the necessary equipment on site and skilled staff to undertake any size project on any marque of classic car. • Fleet Service 6 days a week. • Log book servicing, whilst maintaining your new car warranty entitlements, is performed by our qualified technicians. The special advantage for you is knowing that no matter what area of your car needs repair or diagnosis, we have a specialist available who is conversant and experienced with that area of the car. Our digital chassis dyno is used to ensure the road performance of the car is at its peak without having to actually drive the car on the road until all fine adjustments have been made. Also, diagnosis of specific driving problems (e.g. driving at 90kph with a caravan on) is made easy by being able to simulate driving conditions in the workshop which would normally only be able to be achieved whilst driving the car on the road. If you are experiencing problems with your cooling or air conditioning systems, you can rest assured that you are dealing with the best there is, backed up by a 108 outlet strong national warranty.